At Basement Systems, we recommend jackhammering the interior perimeter of the concrete slab floor and placing the perimeter drain system on the foundation footing. 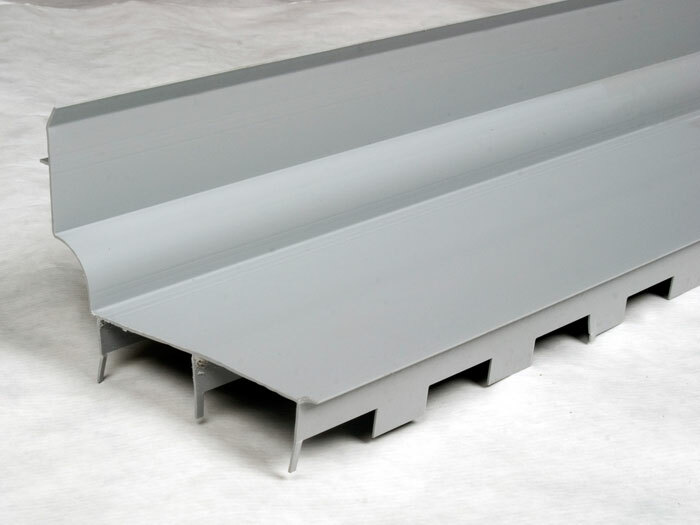 However, if your concrete slab floor is extremely thin, a standard drain will not be able to rest on the foundation's footing without sticking up out of the floor. This will not work! 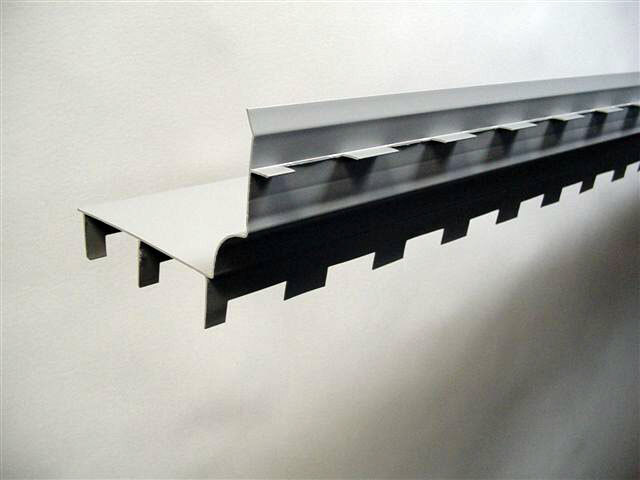 In these situations, our dealers will usually suggest the FlowGuard Thin Floor Weeping Tile System. 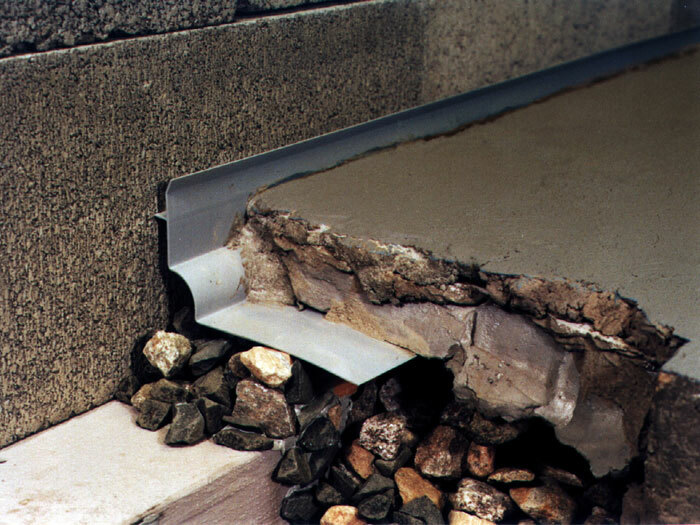 This drainage channel collects water from the basement walls with a wall flange, while a drain system under the floor brings all water to a sump pump system. 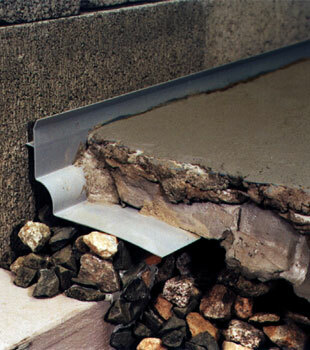 Our weeping tile system is ideal for waterproofing any basement with a thin concrete slab floor! To schedule your free weeping tile installation quote, contact us by phone or e-mail today! Once your weeping tile system has been installed, our contractors will restore your basement floor with fresh concrete so that it looks as great! Since this weeping tile system is installed in front of the footer, it may lie within the "mud zone", where mud underneath the floor threatens to clog your perimeter drain system. To avoid issues with this, a generous layer of clean stone is poured underneath and around the drain as it's installed. 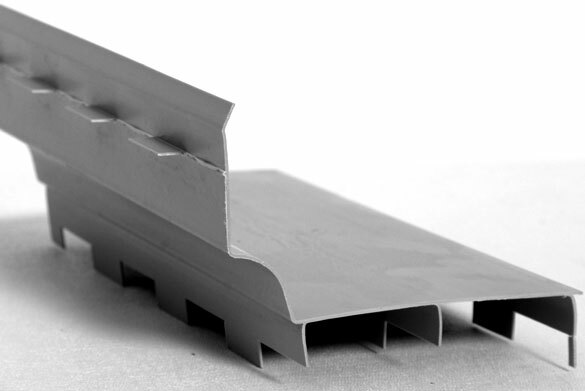 Its unique channel design, instead of a "pipe" that could clog, also helps to avoid clogging. Leaking floor cracks are no trouble at all for us! Most floor cracks will stop leaking once a perimeter drain system and sump pump system has been installed. If additional drainage is needed, we can direct a line from the crack location over to your sump pump. We Have A Simple Solution To Waterproof Your Basement! We can solve your wet basement problem quickly -- with most basements being completely waterproofed in one or two days. Once waterproofed, we provide our customers with a written lifetime warranty on their system. This warranty can be transferred to the next person who owns their home -- a great selling point! 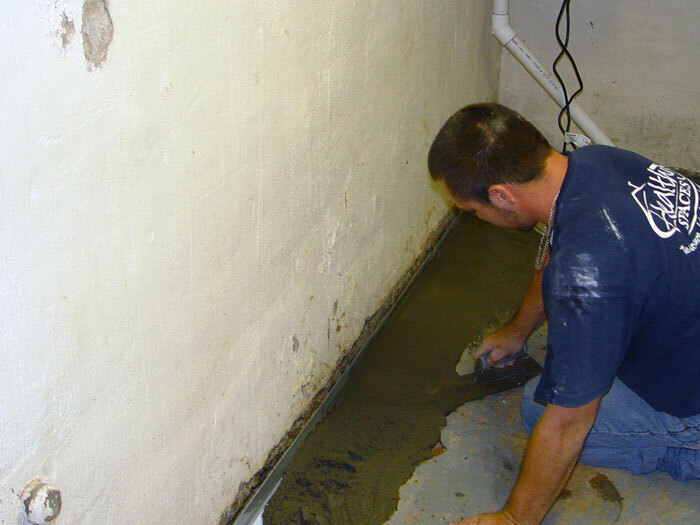 We'd like to help you waterproof your basement ! 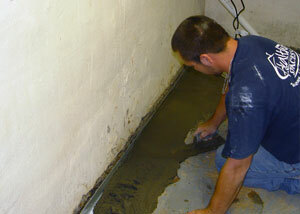 Call or e-mail us today for a free basement waterproofing quote! Each free quote is provided by your local, authorized Basement Systems Dealer. Our dealers are located throughout the United States, Canada, and the United Kingdom, and are standing by to serve you!